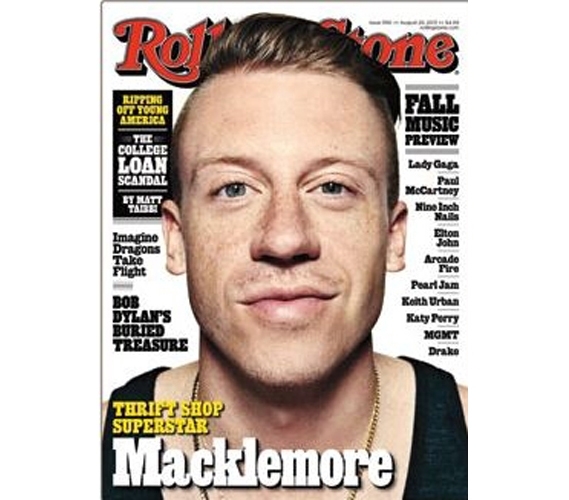 Perhaps the most influential part of Macklemore will be his haircut, but if you like his music too, then include this Rolling Stone Macklemore 13 Poster. This college supply will help to decorate your dorm and show your musical interests. When you're shopping for college, look out for cool dorm items and supplies for college that will bring some personality to your dorm decor. The best wall decorations for dorms help to show who you are! Music posters for college in truth aren't unique dorm items in their own right. But a college poster that takes a after a Rolling Stone cover is a cool dorm supply and is more distinctive in this way. So, as long as you shop for unique posters for dorms, you'll definitely have a dorm decor theme that you'll be glad to call your own.